Wendy is a Psychologist graduated in Scotland. She also studied Communication Sciences in Peru. Currently a Spanish teacher in France. Multilinguism can be an option for some families. But for other families multilinguism is just a way of living and it comes naturally. Monolingual family in a same-language environment but who believe in the importance of speaking another language. For example Madonna sending her children to a French immersion school despite no one in the family speaking French or living in France. Monolingual family in a different-language-environment. That is for example a British family moving to live in Saudi Arabia for work reasons. Bilingual family in a same language environment. That is for example a Spanish mother and English father living in England. One of the parents speaks a minority language while the other speaks the majority language, and both languages are used at home. Multilingual family living in a different-language environment. That is for example, a Spanish mother, and a Japanese father living and bringing up their children in Italy. Each parent speaks a language different to the majority language and the children are exposed at least to three languages -the mother's, the father's and the community or majority language. Each case is different just as each family is different. What works for one family might not work for another. The important thing is to be comfortable in your situation and happy with your child's language development. How Many Languages a Child can Learn? 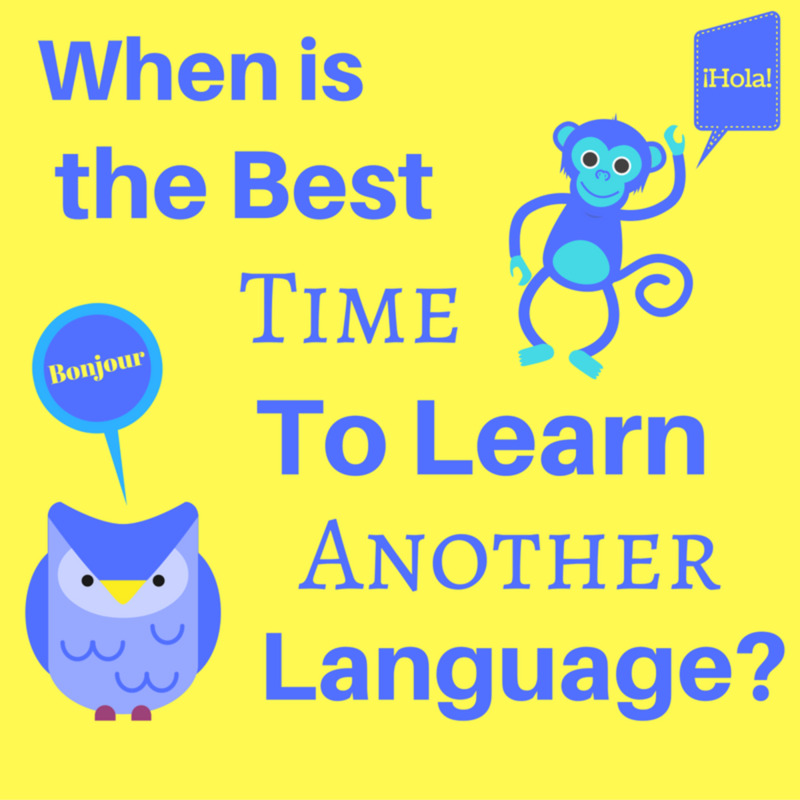 Can My Child Learn More Than One Language At The Same Time? The main question parents of multilingual families have to deal is whether a child can learn more than one language at the same time. This doubt is aggravated by social misconceptions and the fact that multilingual children take longer in starting to talk. Bringing up multilingual children is not always easy. For first time parents it is very frustrating to hear all the criticism from monolingual friends and family. Some parents even give in to social pressure and stop teaching their children a second language thinking that it would be best for their child not to "confuse it with another language". Raising multilingual children requires patience. As with most aspects of parenting, it's a long term commitment and there will be ups and downs. Can children really learn a second language at a very early age without disturbing their language development? The answer is YES, they can and it is very exciting to see their progress. With very young children, a second language is learnt the same way children learn a first language, which is to say, not really teaching them a language but exposing them to the language. A child acquiring language abilities does so by experiencing the world. Babies learn through repetition and listening. A mother feeds her baby and tells her "time to drink your bottle" and repeats the word bottle several times shaking the bottle in front of the child. Eventually the baby -even if she cannot talk yet- learns the word that identifies the object "bottle". This can be done in several languages and the child will assimilate the meaning of the words through experiencing them. Through repetition and hands-on-context, the child figures out the language her mother is using to communicate with her. As a parent it can be frustrating and worrying seeing how all the other children are increasing their language ability while your child is "stuck" trying to cope with two or more languages. You might even feel guilty about holding back your child. Your friends and family start telling you that "the poor baby" is getting confused and will never learn to speak if you insist in using two languages at the same time. DO NOT LISTEN to them. For a start, they have not brought up multilingual children so they do not know anything about the subject except for their misconceptions. Remember that you are not the first multilingual family. Multilingualism on a grand scale is commonplace in many countries -Africa, India, Belgium, Switzerland- it seems to be only in certain Western countries that it is regarded with any alarm. A child learning a second language takes longer to talk. But it is not because he is not learning, it is simply that your child is recognizing and producing sounds in more than one language system and that process takes time and practice. While his peers are coping only with one language system your child is coping with two and requires more time to assimilate, but this is normal. Do not worry, before long your child will catch up with his monolingual peers with the added advantage of being bilingual! Will my baby be confused? Parents worry too much about this. In reality, children's brains are more sophisticated than what we might think. In a bilingual family where different members of the family speak different languages, a child will soon work out by herself that different people use different words to refer to the same things. She will realize that what mommy calls "a blue ball" is indeed what daddy calls a "pelota azul" This is indeed a very sophisticated process, but it is a process which your child will solve at a surprising rate by herself. She will notice that different words can refer to the same object, and often that different people use those words. This text is an exciting addition to the library of homes raising children equipped to live in our multicultural world. Case studies illustrate the many ways families combine ten key factors in order to successfully raise multilingual children. The book encourages parents and teachers to reflect on their personal situations and helps them to foster multilingual skills in the children around them. Multilingual children tend to speak a little later than their peers. Research suggests that bilingual children may develop more flexibility in their thinking as a result of processing information through two different languages. Research also supports what many parents have long experienced: that multilingual children have better-developed linguistic understanding. One of the most strongly established findings of educational research, conducted in many countries around the world, is that well-implemented bilingual programs can promote literacy and knowledge in a minority language without any negative effects on children's development in the majority language. This means that learning a minority language helps learning in general rather than causing problems. Within Europe, the Foyer program in Belgium which develops children's speaking and literacy abilities in three languages (their mother tongue, Dutch and French) in primary schools, most clearly illustrates the benefits of bilingual and trilingual education. Multilingual Family is a website to help multilingual families in the UK to meet up and to make the most of being multilingual. It includes an online forum for finding and communicating with families in the same geographical area. When Is Too Late To Introduce A Second Language? Never. We are always learning. However the ideal age is up to 9 years old. Up to about the age of 8 or 9 it has been shown that intensive exposure -for example, emigration, or attending a monolingual foreign-language school- can still produce a fully bilingual adult. Beyond that age, you may find that your child assimilates the new language more or less well, depending on several factors. For example, teenagers may be self-conscious about making mistakes and they might not give their second language a fair try. The key is to let your child know that the new language is useful. For example, speaking French will allow him to have new friends to go out with when you travel to France. Always make learning a new language a fun activity, something enjoyable. It is never too late to introduce a second, third or even fourth language to your Child. As a matter of fact I raised my daughter in a bilingual environment (English/Spanish). When she was 3 we moved to France and she started learning French. At the aged of 5 she was already speaking Spanish, English and French. Now she is 13 years old and can fluently speak, read and write in all three languages. As a bonus, she has picked up fairly easy German and Latin at school which she started learning at 10. Do not underestimate your child's capacity to learn, It is true that some mixing will occur, but that is both harmless and temporary. I remember my daughter used to mix English and Spanish, but eventually as her vocabulary enlarged she corrected this phenomenon by herself. Another thing not to underestimate is the value of a passive language, that is, understanding a language but not speaking it. You need to keep in mind that if your child already understands a language it is going to be easier to learn it later in school or as an adult, compared to someone who'd never heard it before. In any event raising a bilingual or multilingual child can be a great challenge but with love and patience it can be a child's game! Is Being Bilingual a Must in Today's Society? Excellent article. Thanks for sharing. I agree with many of the opinions expressed. One of the most important things when raising multilingual children is to never give up. Even if your child has a "stubborn" period when he will refuse to speak a minority language, keep using it, persevere and with time you will see that his language barriers will dissolve. The trick is to keep it natural and never force a child to speak a language, let it be his choice and he will succeed with it. Hi there, this is Meri in Tokyo. I am revisiting this hub after a few years absence to see if I can pick up some skills, and an update on my once multilingual daughter. She was 6 then, now she is 11, in 6th grade. Her Vietnamese has dropped to the level of being able to understand what her Daddy says though she can't really speak so much any more, her English is still hanging on with me putting a foot down to keep her vocabulary growing, and her dominant Japanese unsurprisingly has outpaced her parents. I thought her Vietnamese had waned, until one day she asked me how to say this say that in Vietnamese, how delighted I was. Thank you Princessa for keeping this hub open for us parents. My advice will be never give up, not to force the languages on your child. Always give them an opening, and introduce language in fun inventive ways. Never say in front of your child negative views like " She used to be so fluent in ..., but now she's forgotten everything we've taught her ... etc", focus more on her positive language points so she can be proud of what she had or has. It will keep her mind open. Having relatives from the minority language over helps (my brother and sister came over for a visit), and even bringing her to English mass counted a lot, since learning a language through songs is enjoying. I think that you could speak English to your daughter (even if she doesn't switch languages to answer in English) she will take it in and eventually that knowledge will come out when she really needs it. You could also introduce Bulgarian through games... what about singing in Bulgarian? or playing Bulgarian games with her? It could work but it requires patience and perseverance. Remember that most children will not switch to a foreign language if they do not feel a need for it. I used to speak only Spanish to my son (he learnt to speak in France and French is his first language, for years he refused to answer back to me in Spanish (because he knew I understood French) but he spoke Spanish to non-French speakers. Today, he is 10 years old and speaks fluently French/Spanish and English. What a wonderful page!!! Congrats to the author! My family situation is a bit complicated linguistically and a I will appreciate any tips. Mom: Russian; Dad: Bulgarian-Canadian; 8-year-old stepchild born and raised in Russia, speaks only Russian. Currently, we are in Russia and our home language is Russian. However, we will have a baby girl soon and in June next year we are moving to Spain where we plan to settle down. Now, obviously, my wife and stepson will talk to the baby only in Russian from her birth, then Russian books, music and TV will be added, so Russian is covered. Since the community language in Madrid is Spanish and the kid will go to a Spanish kindergarten and then school, Spanish is covered as well, I think. Spanish will be probably the dominant language of our daughter. Besides my native Bulgarian and English, I also speak fluent Russian and very good French, Spanish, Serbian and Macedonian. However, I want to pass to my child Bulgarian and English. The problem is how to introduce these two languages. Our daughter will listen to me speaking in Russian to her mom and brother and in Spanish to people on the street. So, why would she bother to switch languages with me?! And how can I introduce to her both English and Bulgarian?! Many friends advise me to just forget about Bulgarian and speak only English to our daughter but I think that this is part of my heritage and I want to teach it as well. So, do you think that I can somewhow incorporate both Bulgarian and English while interacting with my daughter without confusing her too much? Hi Meri, yes, just hang on in there! Thanks for coming back to share your experience. According to my experience with my own children after 9 years living in France I can say that French is their dominant language although at home I speak almost exclusively in Spanish to them. Even now, they answer to me almost all the time in French (because they know I understand them) however much to my surprise they are fluent in Spanish as I can hear when they speak to my Spanish (non-French speaking family). They are just "lazy" with me because they know I understand but they make an effort to speak Spanish with those who do not understand French. The same goes for their English... they are fluent in it (although they only listen it through their father and over the phone with their granny) Their dad speaks to them in French and almost all the time (except when he doesn't understand) the children answer back in French. So, all I can say to you is just hang on in there, you will see that it will all come to place when needed. From a Vietnamese Family living in Japan. It has been 2 years since I last posted on this site. We were in California in 2011, and my daughter had started learning English. 3 months later we went back to Tokyo and she attended school, she is in the 4th grade now and her Japanese is totally dominant ! We do OPOL. I speak to her in English, and she has kept her English literacy, however, even though my husband speaks to her (and me) in Vietnamese, she answers him in Japanese, losing most of her Vietnamese fluency. There is no Vietnamese community where we live, so now way for her to have input besides through her Dad. I think there will come a stage when the child will prefer her/his language as it is easier. In my case, I put my foot down and played with her a lot helping her to keep her English. My husband, however, had a more laissez-faire attitude, and let her off when she replied to him in Japanese. Not all is lost. I am teaching her English and Vietnamese every week, it has results and it helps keep her languages "alive". My advice to other families out there: just hang on in there, and even though you might not see any results yet, it will show when you least expect it to. Would love to hear your comments on how to keep languages alive in such a monolingual country as Japan. Albert, sorry about the delay. How have you progressed with your baby's language? I think that if your baby hears English at home and school that would be her main language. Kasia: I would love to take part in the study. I'll be writing to you for more info. Please feel free to share here any findings. 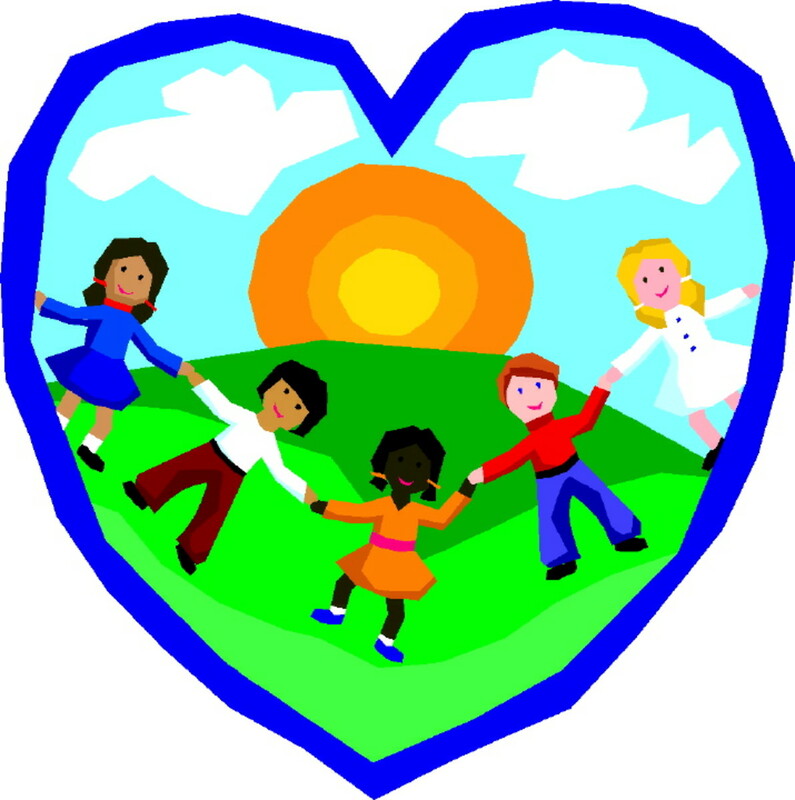 I am looking for volunteers with multilingual children speaking English. The design of the research will be easy to conduct in home settings. All the personal details will remain confidential. I will send more information if required. The study will take place between late November 2013 - early January 2014. I am from Spain and my wife from Beijing. we communicate in english and we plan to talk to our baby in catalan (me, the language I speak with my family) and korean (my wife, she is almost a native) we expect him to get the mandarin from school and the environment. And I must think of some way for him to learn Spanish as well. My question is, do you guys think he may be able to pick up the english just with classes in school and hearing me and my wife communicate in that language? Our son is now in 6th grade, speaks, reads and writes in English (we live in California and my husband is half Chinese American), Japanese (I am from Japan) and Mandarin. We both speak our first language (English- husband and Japanese- me) but no one in our family speaks Chinese/Mandarin. Our son started learning three languages at the same time in preschool he attended before age 2. He started talking around 3-1/2 years old, much later than many monolingual kids. Since he started 1st grade, he has been taking once-a-week Mandarin class with kids who have Chinese speaking family members at home. His first language is English and he is advance in his class. His reading level is more than 9th grade. And he can read Japanese and loves to read comic books in Japanese and Mandarin. We almost gave up several times on Mandarin which we cannot support him at all at home, but we are so glad that our son now feels good at being trilingual. In California, there are lots of bilingual kids but not much trilingual kids. It took lots of time of our son and our family. He missed some extra sport activities in elementary school level for attending classes and lessons for those languages. But finally he has confidence in languages and wants to take French as 4th language from 7th grade at school even though his middle school offers Chinese/Mandarin. He is interested in Italian as well which is not offered at his school. We will continue how we have been doing. Many of his preschool friends gave up on being fluent bilingual. It needs great amount of time and energy but it has been working for our son who has strong interests in language and music over sports. I know several families who are currently in situation 3. I think they're all pretty firm in their convictions to raise their children bilingual, but I'll be sure to send this to them if anyone tries to tell them otherwise. Thanks for the great article! Hi. I am Serbian and my husband is Greek. We live in Czech Republic and have 4 year old tween girls. they speak four languages: Czech, Serbian, Greek and English (because of the school they go to) without problems. Some of the children at their school speak Spanish, so our girls started singing some Spanish songs at home. How can I incorporate this new language into their life? Gwen: As you speak English and Shona I suggest that you stick to these two languages. I find that the best way to teach a child a second (third or fourth language) is by inmersion. You haven't told me where you live but as you speak Shona and English I guess that you might be in Zimbabwe. For a child to learn a language it is advisable to spend at least 30% of its time listening (or actively learning) that language. If you want your child learning French, Spanish or Chinese I would suggest that you expose her to people who speaks those languages. For example getting a foreign nanny, or taking your daughter periodically to a playgroup with the chosen language would be the best starting way to introduce another language. Hi Princessa, great hub, so interesting!! Please advise me. I'm a single parent. I speak English and Shona. I wld like for my darling daughter to learn English, French, Spanish and Chinese(pushing it rite, lol). With your experience what do u suggest I do please. Any advise wld be appreciated. Thanks in advance, and good job with wat ur doing! Maike: From my on experience I can tell you that for us it worked to leave the children to learn to read and write in French first (the language they learn at school). Once they learnt how to "descipher" the alphabet in French and pair letters they started doing the same with Spanish and English. They did this by themselves I believe that it was out of curiosity. Once they started to get interested in reading in Spanish I just had to correct their little mistakes. We've never done any formal teaching of Spanish or English, but they are fluent readers in both of them. Princessa, great hub and great info from all the comments. We too have two girls (4 and 2 years) that are being raised multilingual (german, english, dutch) and so far it's been working out fine. They're so used to switching between languages, a truly amazing and fun experience. However, I haven't found much info online as to how they will cope with reading and writing in the different languages. The language they learn at school is Dutch and I wonder whether we need to do some schooling at some point or should we just go 'with the flow' and not put too much pressure on the reading & writing issue. Any comments would be much appreciated. Great article. I would like to ask for help or suggestions. I am Polish and my husband is American. We have a 7 year old and an almost 4 year old. We live in the states. I don't really have much family left in Poland and don't go back often. I have not thought my children Polish. I wish I had, but at the same time I find it very difficult to teach my older child who is in 2nd grade. By the time he comes home does his school work and has dinner it's time for bed. How can I incorporate a new language into his schedule. I came to US when I was 15 and that was 22 years ago. I don't have Polish friends and only interact with my parents in Polish. I tried sending my son to Polish school but unfortunately these schools are designed for children who understand/speak Polish. Would I be better off sticking to common language like Spanish? Or should I try Polish? I would love for my children to speak Polish with their grandmother :) I know people who have successfully thought their kids Polish, but those are families where both parents speak Polish. Please, any ideas/suggestions would be greatly appreciated. Thanks! Hi,I am swiss and i work in Qatar,i have a 15 years old child, he studies in a private school, and he studies all subjects in english , but he want to speak Arabic language, he tried many tutors here.. but he couldn't make any progress with any of them. do you know any good tutor here in Doha ?? or maybe outside ( i mean on line lessons) ?? Luis: Babies have an amazing ability to understand languages. My personal suggestion would be that each of you speaks to your baby in its mother tongue (even as babies, they are developing their listening/language skills) singing to your baby, telling stories and playing in Portuguese from the very first months will help her understand your language. In time, your child will learn the dominating language (Flemish and/or French) at school. To give you an example, I speak Spanish (my mother tongue) to my children, their dad speaks to them in English (his mother tongue) and the children speak French (the school and society language) between them. Now they are 10 and 7 years old and fairly dominate the three languages without any extra lessons or efforts. We have use this method since they were born and it has worked very well for us. After the quake, we moved from Tokyo to California, and my daughter has started first grade here. The change is amazing ! I remember when we were in Tokyo, I had to struggle to get her to speak English to me when we were out of the house. My husband spoke Vietnamese to her, and her Vietnamese was like, really weak. She insisted on speaking Japanese to him. Now, in California, she speaks English all the time. We will return to Japan in June. But I can see how a summer vacation could booster the minority language. Princessa was right on when she gave the example of relative speaking only the minority language, it really helps. Children know when someone can only speak ONE language, and either they adapt, or in my daughter's case, she just keeps quiet. She doesn't talk to her grandparents, they only speak Vietnamese. I should do something about it. Any ideas? Just have them watch cartoons in different languages... it will help to start! Hello, I found your forum very interesting. My daughter is 9 yrs old and both her father and I are of croatian background however we speak english at home (we were both born & raised in Canada). She was fluent in croatian (I spoke croatian to her & husband spoke english) until she started school. We then naturally turned to responding to her and answering her questions in english since she came home speaking and telling us about her day in english. Even the grandparents we find are speaking more english than croatian to both kids (son is 5). We have asked them to try and speak more croatian so they do not forget it. Now at 9, my daughter can go to french immersion and we are seriously considering it. I am just concerned that it may be difficult for her at this age to pick up french and still not lose any croatian. M Hawary: Don't worry to much about your baby being late, it is normal in multilingual environments where children have to deal with several languages at a time. Eventually it all comes toguether. Based on my experience, I would suggest that you try to speak English only to your baby, and ask your wife to speak in Ukranian to your baby. Your child will pick up Spanish from school and social environment. I live in France and speak French (with a very heavy Spanish accent) so when we moved here (my youngest child only 11 months old) I decided to speak Spanish to my children to avoid them learning French with my "bad" accent. Now 5 years later, it seems that I did the right thing. My little ones are capable of speaking English to their dad and Spanish to me while French has become their dominant language. They can speak the 3 languages without any foreign accent! Be patient and try to stick to a method. You will find that it can be more difficult for the parents than for the children. I loved this hub and all of the comments. My children are being raised bilingually (I hope to introduce a third someday) and it amazes me. We live in the Middle East so they know english and arabic. We went back to the US when my one daughter was 2 and the day care teacher figured out when my daughter was singing in arabic but told me one day that she was singing something completely unknown. When I asked her she said it was a song our Indonesian housekeeper sang with her--no problem for children. Their brains just soak it up with such little effort. If they hear someone they care about singing or speaking a different language they can just 'get it'. I totally agree that if they see a need to learn a language and they are exposed they can do it. I know countless people with trilingual kids and I am always amazed (a bit jealous also). Thank you for bringing up to topic. I'm glad to hear that your son can juggle all the languages with you and your family, even though to me they sound totally different (I know French, but I don't know one word of Spanish). Children are so flexible, aren't they ! Yes, laziness IS the problem. I see so many parents resorting to the language the child is comfortable in. It is such an ongoing effort on the part of the parent :) But it does have its rewards. Don't worry to much about it. Because your daughter doesn't speak Vietnamese doesn't mean that she doesn't understand it. Children (like most adults, can be lazy) if they know that someone speaks their favoured language, they do not see any point in taking the effort to speak in that person's language. Let me tell you that I have a similar case. My now 6 year old boy refuses to speak Spanish (my mother tongue) with me, because he knows that I understand French (his favoured language). I know he can speak Spanish because he does speak fluent Spanish with my family who don't speak French. But he is just too lazy to speak Spanish with me. Forcing him to speak Spanish is not a good choice, as I fear that he will end up rejecting it. What I do with him is that sometimes I pretend not to understand his French and ask him to explain things to me in Spanish. He can get frustrated with this, but he ends up talking to me in Spanish. It is not easy, I need to pretend "sillyness" to get him to talk in Spanish to me!!! As long as you keep speaking in Vietnamese to your daughter she will keep learning it, even if she doesn't show it. 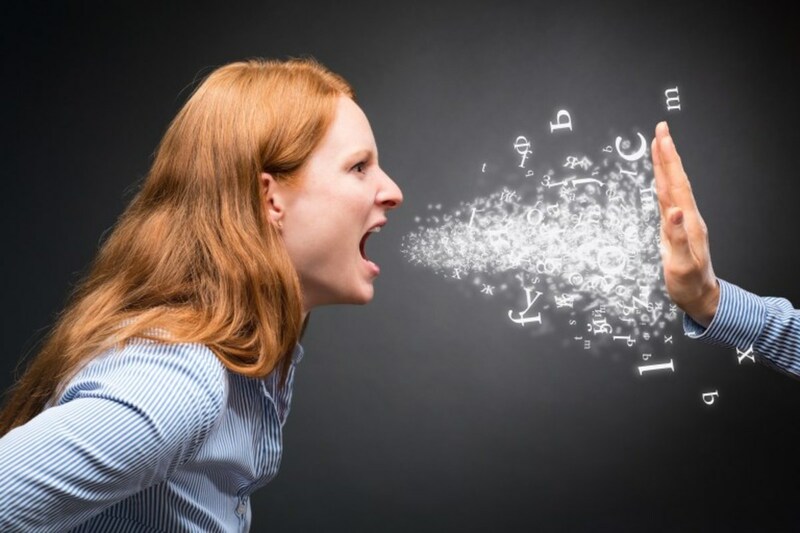 When the moment comes that she needs to speak in Vietnamese because she has no choice if she wants to be understood, you will be surprised at how well she can cope with it. This is Meri from 16 months ago. Yes, I agree that the child will not speak the language unless OBLIGED to. We gave our 5 year old daughter the One Parent One Language approach. I got her to speak English with me. She has picked up, and is now fluent in English, but alas, has lost much of her Vietnamese ! We live in Japan and since there are very few Vietnamese friends of ours here ( I wish we had met, dabus driver, before you left Japan, because I'm also a Vietnamese and lived in NZ!) her Japanese has become very dominant. Our OPOL system is going haywire because my husband who is the Vietnamese speaker, also understands Japanese, and she knows this. Therefore when he speaks Vietnamese to her, she answers him in Japanese. He works, therefore the time her Vietnamese input is very little. Any suggestions on how to teach someone (in this case, my husband) to get someone (my daughter) to answer back in the same language would be very much appreciated ??!! :) It would be such a pity if she lost her ability to speak in her parents' mother tongue (my husband and I are both Vietnamese living in Japan). I don't think anyone should be worried regarding their children. I am hungarian, my hubby is portuguese, our daughter was born in england. We never even considered to speak to her other than our own mother language (both of us being very proud of our heritage). We speak english together. When she was 9 months old she went to a childminder, where she picked up english without even being able to speak at all. I only realized as I picked her up and the childminder told her: Mummy is here go on get your shoes, so she went and got the shoes! She is 3 now and we moved to Italy, a part of italy that is actually german to complicate things... This area is officially bilingual, but it's leaning towards the german side I would say. She will start italian kindergarden in a week (we chose italian, as it's closer to portuguese). At school she will have to study german as well, as it's the language of the area. I am not very worried, she is brilliant, her first language now is hungarian as I have spent the most time with her since birth, but she is communicating very well with her father in portuguese, and I am very very proud of her. She has absolutely no problem taking part of a conversation where I speak english to my husband, ask her something in hungarian and she translates it for her father in portuguese. So don't worry, these things are natural for them if they hear it from birth, she doesn't know any different, this is totally normal and natural for her! dabusdriver: It is a difficult situation. All I can say is that my own children are being raised in a French environment and all the Spanish they ever get comes from me. It is only when we go on holidays to Spain or when they speak on the phone to my Spanish relatives that they get to practice their Spanish. It has worked for us. They have learnt a minority language fluently only from using it at home with me. The same goes for English which they speak to their dad and dad's relatives whenever we go to Scotland. I don't think it makes much difference the order in which a child learns a language. I think that consistency is more important. Your son will inevitably pick up Japanese from his mother and Chinese from the environment. So I think it is a good idea to introduce him to a bilingual school where he can also pick up English. Thanks for sharing all these useful info. I am also a multi-lingual person, i was born in Vietnam, raised in NZ and I have been working in Japan for some years. I speaks mainly English, however I can also speaks Vietnamese, Cantonese, Mandarin Chinese and some Japanese. My wife is Japanese and she also speaks fluent English. We have a 2 y/o son and we have just recently relocated to Beijing because of my work. Up until now, we have been following a simple rule at home that my wife will talk to my son only in Japanese and I will talk to my son only in English and sometimes Chinese. The problem here is that my wife and I have a slightly different views on the language priority. My view is that English should be the main language (may be Chinese as well nowadays), therefore i voted for the bilingual kindergarten that teach both English and Chinese. I believe this will give my son a good foundation and preparation for the future in the real world as there is a high possibility that we may move back and settled down in NZ or Australia in a few years time. 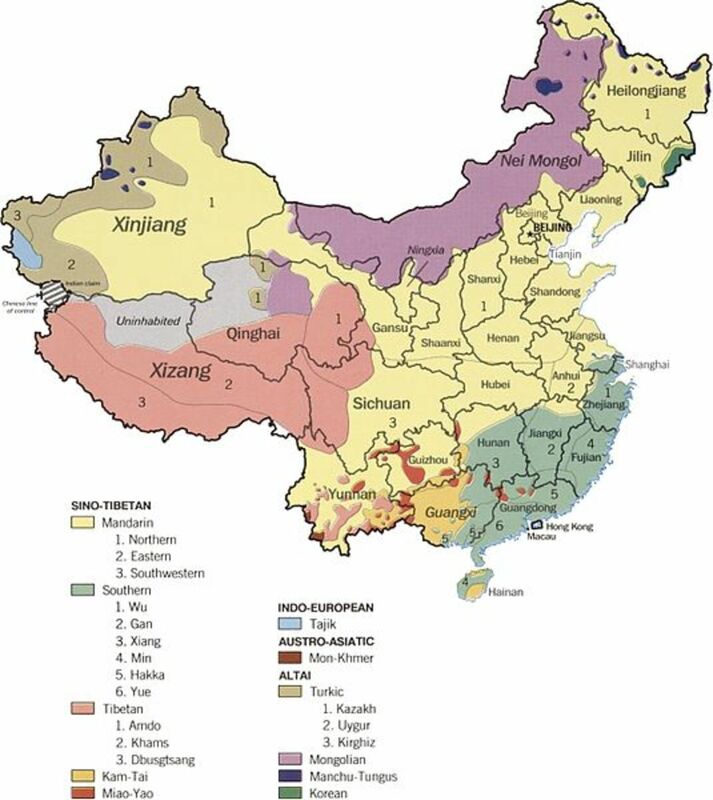 In addition to that, being in China is a very good chance for my son to pick up Chinese. My wife's thinking is slightly different. She thinks that it is better for our son to learn the minority language first while in China, one at a time (i.e. Japanese or Chinese), she thinks that our son may have less chance to learn Japanese or Chinese later if we moved back to NZ or Australia. In fact, she really wants our son to be fluent in Japanese first and then something else. The argument just never ends and we both got very frustrated. Our views and priorities on this language thing are so different. If you were me or my wife, what would you do? what is your view on this? any suggestion or advice? Daniella: You shouldn't worry about it. Most children deal with multilinguism without any problem. I believe that one of the main points is to show children the need for a language so they become interested in it. erikg: I understand your concerns. First of all I would suggest that you ignore the advice and comments of friends and family memnbers who are not faced with your same situation. When I first introduced my children to tri-linguism I got a lot of criticism from friends and family for "pushing my children". Now that my children are 9 and 6 and fluent in three languages I only get compliments about it, they all congratulate me for achieving that!!! Crazy considering that only a few years ago they were against my choice of language education!! Remember that people who do not share your situation DO NOT have a say in your way of educating your child. Usually parents know their child's limits and you should work accordingly. As for introducing German as a third language, I remember when I was a little girl my granny (a native spanish speaker like me) used to sing and tell me stories in English. It was like a game. Obviously I didn't learn English at the time but later on when I started taking English classes it was very easy to pick up the language as I was already "used" to listening English. You are right the earlier you introduce a language, the easier it is to learn it and the best way to introduce a language is through play. 2. English we can manage as we speak it very well, I would also like to introduce German at some point, where I am not that comfortable - how to ensure the child will pick up the language that even his parents do not properly speak. I have read many great insights from fellow members, however great majority of them cover the situation where the native speakers live in a different country, so it is easier to create bilingual environment. But what happens when you live in your native country yet want to work on multilingual skills of your child from early age? I would like to learn more about it. martycraigs: yes, I believe that children who grow up in a multilingual environment not only gain more experience and skills that might become useful later in life, but also I believe that multilingual children are more open to the world in general: less racist and more open to new ideas from different cultures. Aussieteacher: thanks for the input, a child who speaks several languages and has the opportunity to travel is a child who is gaining tons of knowledge without any effort at all! A good Hub. There are more opportunities for children to learn other languages with so much travel and opportunities to work in other countries. Wonderful for the children. It's fantastic to raise your child to be multilingual. Individuals who grow up knowing two or more languages certainly have a leg up, especially as the future progresses. Thanks for sharing this how-to article. abchs_princess: No need to worry that much. Children can deal with multilinguism much better than adults. All you need to do is to provide a rich environment where they can develop their language skills. abchs_princess: You are welcome. I think it is possible. There are many known cases. However, my personal experience is limited to trilingual children -Mom: 1st language, Dad 2nd language and environment a 3rd language. I am convinced that as long as the child feels a need for a language he will learn it. When we went to Italy my children started learning Italian (their fourth language) because they wanted to play with Italian children. Unfortunately as soon as we came back to France and they didn't feel the need to speak Italian, they lost interest. ladylux: that is what I mean, if a child needs to use a language to communicate she will learn it and make an effort. It is difficult for a child to understand the need to learn a language that has no use, but once they realize that the language is necessary to communicate or that it is fun to be able to use another language, they just take it in no problem. Always try to make it a game, like you did with the dog and not a task. Good luck! Hi. Thanks for this hub. I struggled to keep my daughter speaking French and she refused once she got the hang of talking with her very monolingual dad. French is not my mother language and I gave in too easily. We enrolled her in classes and she protested for over a year. Then we rented a cabin in Costa Rica from a Frenchman. She loved his dog, so I told her the dog only speak French. Lo and behold, she suddenly began speaking French to the dog! When we came back home, I found an interactive CD for adults that she liked much more than her kids CDs and has been translating and speaking it since. It's in there, just a matter of bringing it out! La vieja: It works. My 5 year old kept refusing to speak Spanish until my grandmother came to visit and stayed with us for a few months. Once he realized that he could not communicate with her in French he slowly started to speak Spanish and because he had been hearing me speaking Spanish for long enough, he picked up very easy and became rather fluent in only a few months. That's what my mother keeps telling me! I guess I just needed a kick up the behind, and I think reading your hub was it! Thank-you, I have renewed hope. I am spanish but brought up in london, my husband is english. Despite my best efforts my children are reluctant to speak spanish, it doesn't come naturally to me as I think in english so I had kindof given up! Now I shall renew my efforts in the knowledge that I still have time. We are trying to teach our son to speak french as it is my wife's native language and my second. One thing we found out that works is to only talk in french while he is with us, that way he can pick up a few words here and there. My husband and me were a bit concerned. We live in Norway and we speak English to each other. My husband is German and I am Spanish. We are expecting a child and many people encorauged us to use these three languages (+ Norwegian in the kindergarden). We didn't know about real experiences with multilingual families, but now we feel a bit calmer about the situation. Sufi, yes, languages in general do but particularily foreign languages. Latin helps a person learn several different languages unless they're not latin based like Chinese. Great Hub, Princessa - Younger Greeks all speak perfect English, because they start at a young age. My attempts to learn Greek, by contrast, are shocking! Writer - I remember something about that, too. A long time ago, now, but there was some research that showed that learning Latin also improved maths ability. Princessa, I just found my research paper (which I wrote in 98). I'll publish it here today or sometime this week (I'm kind of busy). I finally found out that praising my daughter in front of my friends on her language ability was a really good motivator for getting her to speak to me in English. As we are living in Japan, modesty about one's own child is the norm, so I really couldn't, I mean, didn't, have the guts to "brag" about her in front of other people. But anyway, this past week, I just put my worries aside and really smothered her with praise. IT WORKED ! She now likes to speak English to me in front of other Japanese people (before, she insisted on Japanese !) You were right, Princessa, children know when their parents know a language. I have always put down her resistance to speak another language in public to shyness, but now I see she isn't shy at all, it was just that she was not motivated. Well, I think now in her kindergarten I'm thought of as the foreign mom who likes to "praise" her kid's language ability. It goes against the norm here, but it's my own child, and I love her. And I love reading all your experiences too, I've learned so much more. Hi Jerilee: That’s marvellous, especially as Chinese is becoming such an important language. The sooner a child learns a foreign language the more natural it becomes to speak that language. Well done for your family! Great topic! My son speaks only English to his daughter, his wife speaks only Cantonese, and her other grandmother only Mandarin to her. They did this deliberately and speak all three languages among them. She's only a toddler but she is making lightening progress with all three languages. Writer Rider: Very interesting, I would be very thankful if you can come up with the results from that research. I'll try to look up for studies on it as well. Yes, I believe they learn foreign languages with the same side of the brain that they learn mathematics. I'll look it up later, I did a research paper in college regarding early immersion and that's what I believe that's what I learned. Writer Rider : Math skills? that's right, I had not really notice that until now that you mention it. Both my 7 and 5 year old seem to be really good with numbers. I fully support early immersion programs. They're the most effective in learning a foreign language and, yes, there are problem in the beginning that eventually resolve themselves and the rewards are endless (including excellent math skills). Meri: Yes, children do get mixed up sometimes, but it is happening less and less. Mind you as a family we mix up languages quite a lot despite our efforts to keep using only one language! What I have noticed is that my children do more "mixing" with me and my husband because they know that we understand the 3 languages. However, if they speak to someone who only understands one language, they make an effort to find the right words and to avoid mixing languages. Try not to worry too much about it, somehow a child's brain knows how to sort it out. French is a wonderful language and I'm sure that would be the language I would love my daughter to learn, if she were to ask my advice on a foreign language. Thank you for your support. Your hub is awesome. We're flying over to see her grandparents this summer, and it'll be the first time she will get to "talk" to them in their language. I must confess I'm excited. You were right, bringing up multilingual kids is fun at times. Do they sometimes mix languages in one sentence? Hi Meri, thanks for sharing your experience. Bilinguism and trilinguism can be frustrating at times but on the long run is worth it and it can be a very enriching experience for both parents and children. My first child was bilingual until the age of 3 when we moved to France and she became trilingual. It was difficult at first for her, but in a couple of months she had mastered it and was enjoying it. My other child learnt to speak in a trilungual environment and it was easier for him. However, after 4 years of trilinguism both children have acquired the same level of proficiency in all 3 languages. Funnily enough, they considere French (the foreign language for the family) as their main language! Good luck to you. Be patient with yourself and your child, learning a language should be a fun experience and not a boring task. Thank you Princessa for your wonderful advice. I was really frustrated until I found out this website and so many parents who are enjoying what I am wrestling with each day. I'll take your advice and enjoy myself too. We live in Japan, our nationality is Japanese, my daughter is 4 and a half. My husband and I are Vietnamese. I am bilingual Vietnamese-English, since I grew up in NZ. My husband and I have been speaking Vietnamese to our daughter until she was around 4, then I introduced English to her. English started really difficult at first because she knew Mama understood Vietnamese, and she didn't understand a word of English ... so story time, etc . was met with a lot of frustration on both sides. After about 6 months, she is progressing quite well in understanding. I am glad I didn't give up on my English input. However, she does not have motivation to speak English since my husband and I converse in Vietnamese, so I am afraid without enough motivation, she will not get to be fluent in English. She is in a Japanese kindergarten, so her Japanese has become incredibly fluent in just a year of school. I am so intimidated, since in Japan, conformity or else is the norm even among adults, so an Asian mother speaking English to her own child evokes ... silence. I have very few Vietnamese friends, and hardly any English speaking friends for her to play with. Even the grandparents live overseas ! I wish I had started earlier with her, when she was around 2, instead of 4. I wouldn't have met with so much resistance. It would have made my "job" so much more easier :)) I think waiting for children to master a second language before introducing a third (like in my case, waiting for my daughter to master Vietnamese, then introducing English at 4 years) is not as good as immersing them in all the languages completely from the start. So thank you again Princessa and everyone for sharing your stories, and letting me share mine too :)) I would love to hear your comments, I'm feeling so frustrated. I have to deal with this issue on daily basis. Between my husband and I, we speak Italian, Russian, Gypsy, Armenian, English, and Ukrainian. Our two boys are stuck in this lingual medley, but what can we do? We don't intentionally teach them the languages, they just kind of pick them up as they go. I think that it is a great experience for kids to have. I grew up in a multi-lingual family, and I consider myself lucky. funride: It is never too early to start teaching your child a new language. The key thing is not strictly &quot;teaching&quot; your baby another language, but letting your baby experience the world in another language. I will be writing soon about my own experience with my children, they are coping very well with learning other languages without being strictly taught. First of all I must apologize for have miss this hub and thank Princessa for the shout on Digg, otherwise perhaps I would never find this great hub. I have been introducing other languages to my 3 years old daughter but I still feel it´s too early to start teaching her other languages. This said I´m happy that she is capable of count until 10 in English and French (beside Portuguese of course :D) with out being need to force her to learn, in fact she is the one who asks how some words sound in other languages (she already say some words in Italian also). I´m sure next year will give her time and bases to start understanding more from other languages (with our help and from listening to TV movies and to some of my foreign friends every time they visit us). One thing I must say is that no kid should be taught other languages before having good bases on the mother language (I would say about 3-4 years old but I can be wrong LOL). The natural curiosity will make them ask for more knowledge in no time. Stacie: I am happy to hear that you are already thinking about exposing your future children to several languages. I think it is very important for a child's identity to know his parents language. It is a shame that there is so much ignorance about the subject. I know too many people who gave up to social pressure and never taugth their children their own language for fear to damaging their children's language development. Isabella: Thanks for the comment. She is cute, isn't she? It is amazing how very young children can differentiate languages and apply them at will. Another great article! Love that vid of the little girl counting! Great info here. I read an article somewhere about how babies can differentiate between different languages based on the different facial experessions and speaking patterns people have when speaking different languages. When we have children, we will be speaking English and Polish to them. If I'm in the position to expose them to a third language, I won't hesitate. When I was 19, I lived with family in Switzerland (the German speaking part). People constantly criticized my aunt for speaking English in the home because they all believed the children wouldn't be able to speak German as well--how wrong they were! fishskinfreak 2008 and Adam York: Thanks for stopping by and commenting. Zsuzsy Bee: Thank you very much for your comment. I always like to hear from people who has experienced multilinguism themselves. At the start I was very concerned about bringing up multilingual children -so even now- it is very reassuring to hear from people like you who managed to cope successfully with learning several languages. It is really amazing how by age 8 you already had four languages almost without any effort. Having a strong linguistic base also helped you later learning English without an accent! Thank you very much for sharing your experience. C.S. Alexis: I do feel that multilinguism is a very important subject in a world that is changing and becoming more globalized. Knowing your parent&rsquo;s language is also a way of getting in touch with your roots and keeping alive your culture. It is sad, yes, when I see friends who speak a foreign language but never taught their children how to communicate in that language. This information was well covered and I do hope that it gets a lot of views. I feel this is more important in our world now than it has ever been. It saddens me when I see children who do not have a grip on either parental language. They seem to be confused. I never thought about the way you divided up the four kinds of multilingual groups, very informative, Thanx C.S. Princessa! I agree with you totally. I was three when we left Hungary...the language we spoke at home was always Hungarian. In Belgium we lived in an area near the German border. We learned to speak German there, however Belgium had two majority languages--Wallon (a type of french) &amp; Flemish (a type of Dutch)--. So everyone in our immediate community spoke Platt-Deutch a kind of German dialect. Twenty miles, to the south-west, &amp; into the country everyone spoke Wallon (I went to junior Highschool there) 45 miles to the north-west everyone spoke Flemish. (The family had friends there &amp; my best friend lived there too &amp; I spent a lot of time there also). By the time I was 8 and without any effort I had four languages down pact. (My parents stuck to the German and struggled with the other two) Then when I was 15 we immigrated to Canada. English is a hard lingo to learn but with the help of the other four it was a kids game for me. I'm told that I don't have an accent at all. My Mom and Dad never lost their Hungarian accents. I remember commenting on your other hub that your children are lucky, because moving to other lands to live, only gives them great opportunities that they can transfer into jobs etc when they're grown.